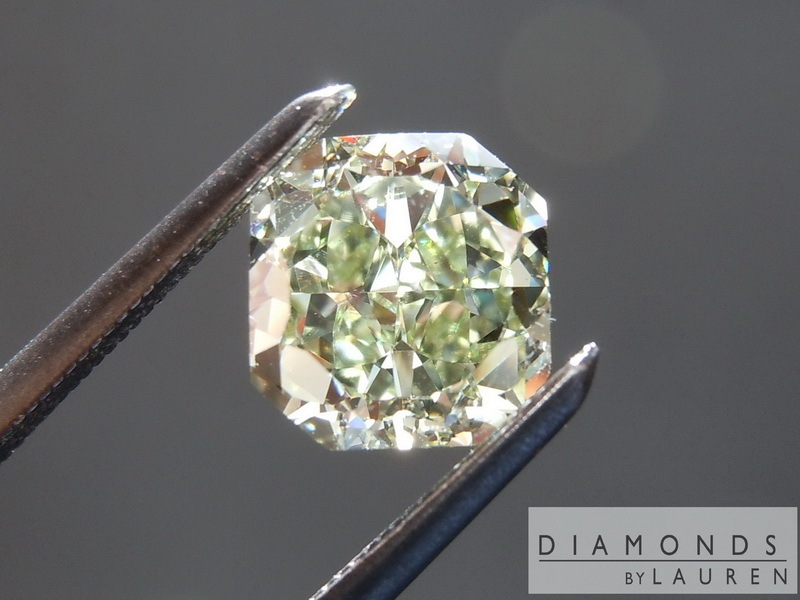 Here is a lovely, square radiant cut diamond. 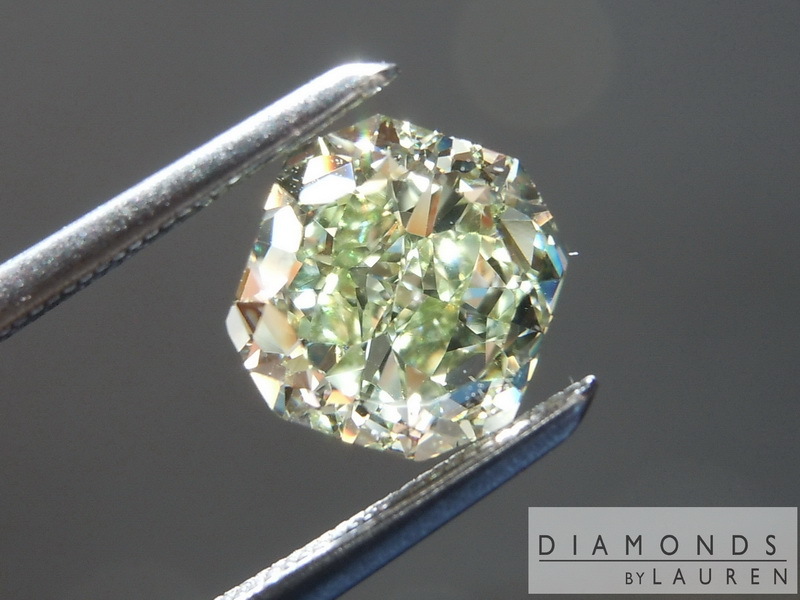 GIA has determined the color of this diamond to be Fancy Yellow–Green. The color is bright, and attractive. Because the stone is so brilliant, you can easily see the green hue. I love the cut of this Diamond. It is the reason the stone has the type of brilliance it does. 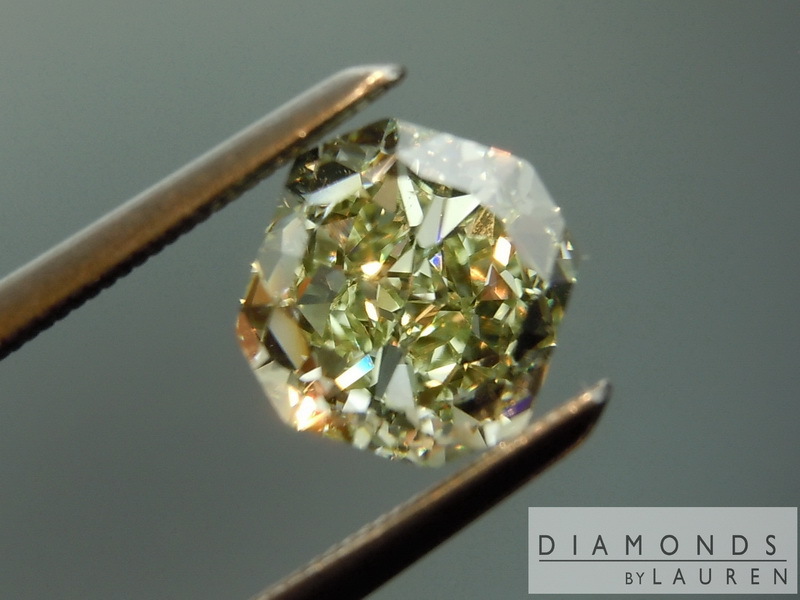 To see why, look closely, at the table of this Diamond. (The table is the largest facet on a Diamond, the top) The table is pretty much round on this diamond, leading me to believe it was re-cut from a round diamond. The result is a stone that has an almost vintage vibe to it. Lots of bright flashes. Some of them pretty large in relation to the stone. 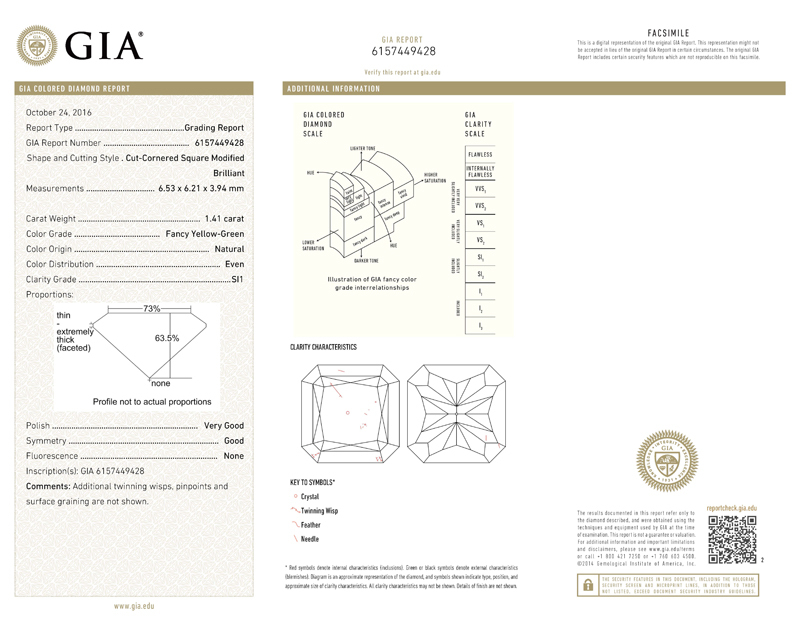 Clarity: when you examine the plot on the GIA report, do you notice a bunch of marks on it. Believe it or not, that is a good thing. 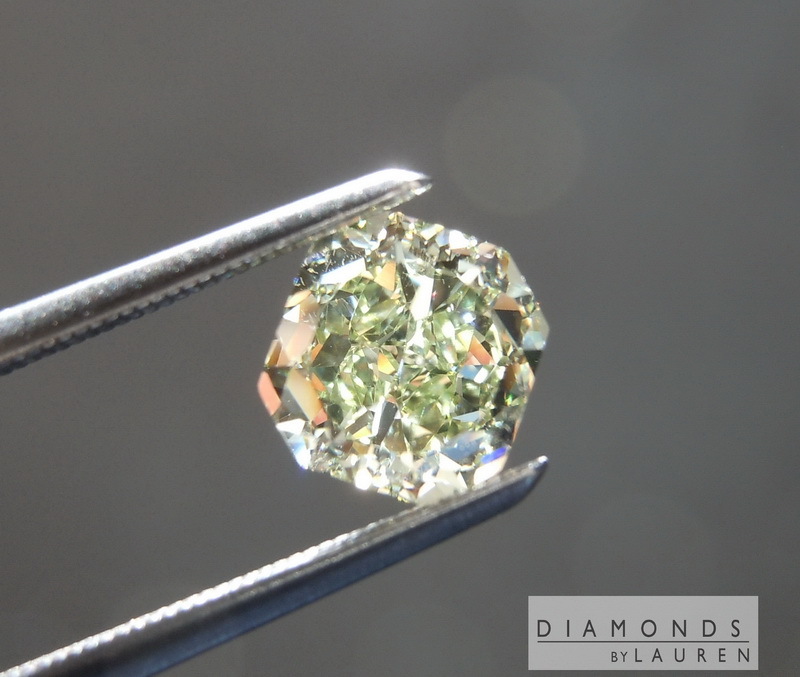 SI1 clarity grade does not include stones that have multiple strong, large imperfections. What this means is that all of the clarity characteristics are extremely minor. For there to be so many, and the diamond still to get SI one, each of them is negligible unto itself, and on to the brilliance of the stone overall. Plus, this means diamond is totally Clean to the naked eye. 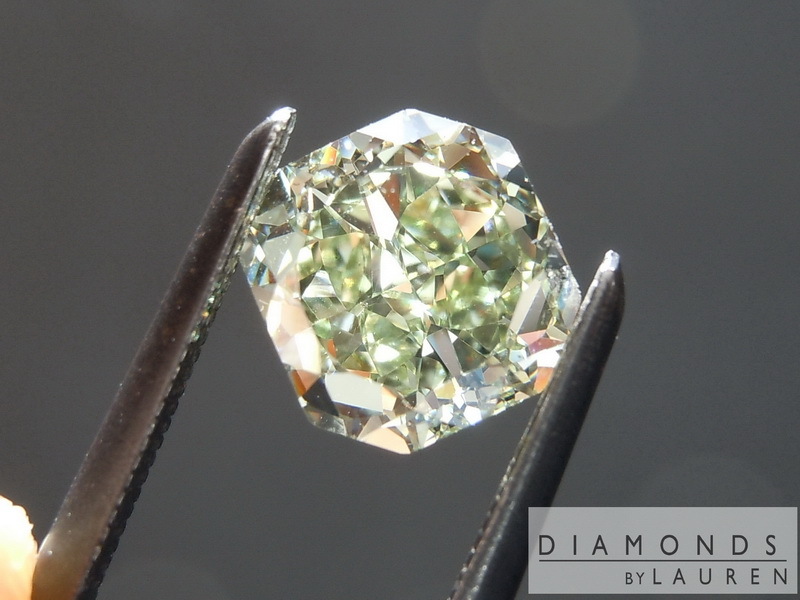 It's obviously not a "cheap" Diamond, but looking at it, and looking at the beautiful green tint, it is easy to love.